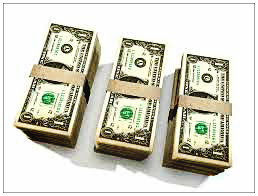 We normally talk about surety bonds in this space. But as we talk about surety companies, we are generally discussing large insurance companies. However, we have a tendency to forget that originally most sureties were individuals. And we really tend to forget that, in this modern age, there still are personal sureties out there. This is a tale of one of those personal sureties. On July 17, Edmund Scarborough filed for bankruptcy protection in Florida. He and his wife (Yvonne) listed $16.2 million of liabilities with only $4.5 million of assets (although, interestingly, nearly all of these liabilities were “disputed” according to the bankruptcy filing). Mr. Scarborough owned the largest and certainly the most high profiled individual surety company businesses in the United States. Mr. Scarborough made claims for years that his surety guaranties were backed by high-quality assets, which included IBCS Mining. IBCS is a Virginia company that mines coal waste in Kentucky. It was these coal assets that backed all of IBCS Fidelity’s surety bonds. Not coincidentally, IBCS Mining also filed bankruptcy. It is important to remember that individual surety bonds are easier to qualify for than a standard corporate bond. The rules were created so that individual sureties had fewer regulations on them, which would allow smaller businesses to have an alternative to the more stringent underwriting requirements done by corporate fidelities. The IBCS business was founded in 2003 after Mr. Scarborough’s original business, a contracting company based in Florida, filed for bankruptcy protection. This surety business was created with a network of business contacts, including an attorney and licensed insurance broker. The coal business was brought in to provide security for these bonds, as the coal waste was seen as a less risky business that would stand up in case the underlying bonds were not viable. This business grew rapidly. It was seen as a great boon to minority contractors especially, as they were now able to get access to required bonds, which are required by a number of contracts, including nearly all government contracts. Thus, IBCS was not only growing, but seen as a great corporate champion in helping out the small guy. This is not a tale of fraud as Mr. Scarborough has not been charged with any sort of financial shenanigans. Instead, it is simply a tale of how a business model can fail. The same things that caused the business to grow rapidly also caused it to fail. Small contractors were unable to get the required documents from corporate sureties as they did not meet the underwriting requirements. Thus, they turned to IBCS to get these sub-standard bonds. However, when the economy went through its downturn, these same contractors were unable to meet their obligations, which in turn led to a substantial number of defaults and requests for payment on the underlying contracts. Once the number of obligations began to substantially outweigh the number of assets, IBCS was simply unable to meet those obligations. Further, IBCS mining, whose assets were used to back the individual surety bonds, simply went through its own downturn and there were not a sufficient number of assets to meet the obligations. IBCS was a company founded on a great principle: an individual surety that would provide the required guaranties to contractors. These contractors, typically small, minority contractors, were then able to get good contracts and business that they otherwise would not be able to get. However, once the downturn hit, the amount of assets were simply not sufficient to meet the obligations created by providing guaranties to these small contractors. This week, a Judge in Los Angeles ruled that Donald Sterling was incompetent for purposes of the Trust and, therefore, his wife could force a sale of the Los Angeles Clippers to Steve Ballmer (the former CEO of Microsoft). Several months ago, Mr. Sterling had several audio tapes released to the public in which he said several very demeaning remarks about African-Americans, most notably Magic Johnson. Since those tapes surfaced, he has be excoriated by the public and the remarks denounced. In addition, the NBA took steps to remove him as an owner of the Los Angeles Clippers. However, his wife, Shelly Sterling, took steps to sell the basketball franchise. When she put it up for sale, a bidding war ensued and a group led by Mr. Ballmer ultimately won the bid in an amount of $2 billion. That’s right, $2 billion. Part of the removal of Mr. Sterling included provisions that he no longer attend any NBA games. While this seems pretty innocuous to most of us, Mr. Sterling was outraged. Upon learning that this ban would continue even after the sale, he sued to block the sale. Here is where it gets interesting. 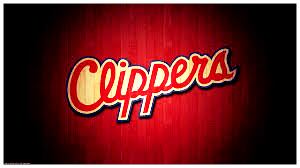 The Sterling Trust owns the Los Angeles Clippers. Not Mr. Sterling, but instead his Trust. However, as this is a typical Grantor Trust (Revocable Trust), it contains a provision that the Grantor (Mr. Sterling) can amend the trust at his discretion. Thus, Mr. Sterling has acted as if he were the sole decision maker when it came to the ownership of the Los Angeles Clippers. This is, in itself, not unusual. But Mr. Sterling is in the early stages of Alzheimer’s disease. This triggered a clause in the Trust that says that, upon his loss of capacity, then the Successor Trustee would become the decision maker. That person is Shelly Sterling. Unfortunately for Mr. Sterling, two independent doctors diagnosed him with the Alzheimer’s onset. 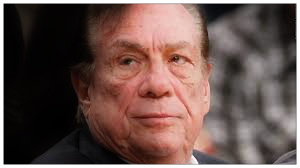 Mr. Sterling sued Shelly Sterling to block the sale of the Los Angeles Clippers. Specifically, he sued to stop her as acting as successor trustee and to have the court reinstate him as the Trustee. The Court, through Judge Michael Levanas, determined that the trust provision was valid and that the two doctors’ diagnoses were proper and that Shelly Sterling was the proper Trustee. Many legal professionals have used this case as a warning to their constituents about the dangers of trust language. Further, they have been warning their clients to make sure that this does not happen to them. Instead, they counsel that stronger language providing protections should be inserted into the Trust to protect the Grantor/Trustor/Settlor. 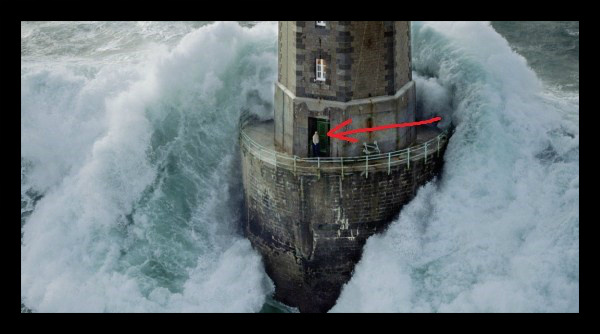 Unfortunately, I do not think that this is a bad situation. Instead, the Trust is actually acting just as it should have. Instead of having a person that is losing their judgment continue acting in a way that could be harmful to them, the Trust has properly utilized a procedure to have a successor trustee named. 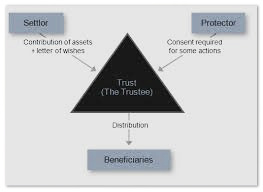 Further, the successor trustee still has a fiduciary duty to the Trust and is liable for any malfeasance on behalf of the Trust. The Donald Sterling saga has provided a very interesting discussion regarding trust law. 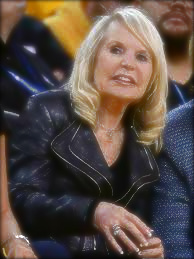 Throughout the sale process of the Los Angeles Clippers, Shelly Sterling has acted as the trustee who has decision making power on behalf of the team. Mr. Sterling sued to stop this, but the Judge determined that the Trust was being interpreted properly.